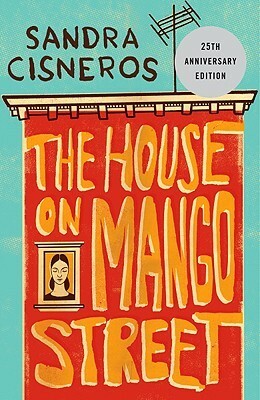 I feel incredibly robbed not to have found this book when I was mid-adolescence, when I would have reveled in empathy with Esperanza, the beautiful, awkward, sad, scared, bold, shy, lonely, social narrator who is coming-of-age through the course of the year during which The House on Mango Street takes place. Cisneros writes this book as an extended series of short vignettes: portraits of people, places, and things in Esperanza’s life; all the things that make up the tapestry of her youth. With these vignettes, she builds such a rich, complicated, understandable, hard world of puberty which mixes easily into the time period, the immigrant experience, the complications layered on by religion, et cetera and so on. She wastes absolutely no words. Everything is perfectly placed. And yet, it’s not fussy. It feels half like a diary, and half like a stream of consciousness transcribed as she lives. Esperanza is sensitive and observant, and has a way of seeing and describing things that are just so. She loves her family, and her friends. She is ashamed to be poor, and doesn’t know any other way to live. She is afraid to grow up, and desperate to be a woman. Everything is honest, human, truthful, and just right, though often awful. I empathized, heart-broken and hopeful for Esperanza through this entire read, and I wish enormously I could see her as a young woman, and know her mind then, as well. But I think, also, it is perfect as is. With her sparsity and specificity, it is clear that this is the right amount of story, the right words for the right time from this perfectly normal, sad, scared, and hopeful girl. One of my favorite reads from high school. I’m so jealous that you got to read it in high school!! I grew up in Texas they always made room in the honors curriculum for Latino authors. I would definitely be down to reread it for CBR10. Congrats on your Cannonball!! I have always heard great things about this book, so thanks for reminding me to add it to the list!